Leading private life insurers HDFC Standard Life, Bajaj Allianz and Birla Sun Life top the list of firms against whom consumers have filed complaints with IRDA, top insurance regulatory body of India for indulging in unfair business practices. The other major companies against whom large number of complaints for making false lucrative offers to sell policies have been filed include ICICI Prudential and Reliance Life, Finance Minister P Chidambaram informed the Rajya Sabha in a written reply. As compared to their private counterparts, the number of unfair business practice complaints filed against public sector behemoth LIC was significantly less during 2012-13. 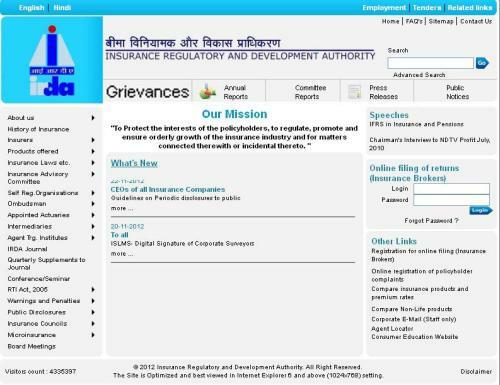 Insurance regulator IRDA, Chidambaram said, “based on its own enquiries, levies penalty on insurance companies wherever a case of unfair business practice is established”. Based on the data by the Finance Minister, the total number of unfair business practice complaints has shot up to 1.68 lakh in 2012-13, from about 1 lakh a year ago. In case of LIC, which is the largest insurance company in the country, only 2,538 complaints regarding unfair business practice were received by IRDA. The complaints against insurance companies for selling policies by making false lucrative offers at the point of sale are put under the category of the unfair business practices.